Successful trading can be taught, or so says the famous Richard Dennis turtle traders experiment. The Chicago trading pits were a scrappy place in the 1980s: a sea of runners, clerks, brokers, and local traders sporting trading jackets of different colors. The decibel levels resounding from the pits sometimes offered clues about market dynamics. Legendary trading giants emerged from these pits, which often rewarded physical size and stamina, sure, but also rewarded the ability to think and calculate numbers quickly in your head. There are many stories worth retelling from these days, but one classic is the story of Richard Dennis and his “turtle traders.” Even if you already know the story, there are important lessons to be gleaned for individual traders today. Richard Dennis started out as a runner on the Chicago Mercantile Exchange trading floor at the age of 17. In the early 1970s, he began trading for his own account on borrowed money and turned a small stake into a long and illustrious career as a trader. Dennis was widely known as a trend-following trader. The "trend is your friend" is a time-honored trading axiom, and his trading approach capitalized on that concept. The basic premise is that markets move in identifiable trend patterns, which can include uptrends (bull markets), downtrends (bear markets), or neutral trends (range-bound markets). In the early 1980s Dennis had a running philosophical debate with his partner William Eckhardt over whether trading was a skill that could be taught, or if the things that made a trader successful were innate—the old “nature-versus-nurture” debate. Dennis was in the camp that trading could indeed be taught, while Eckhardt believed that people like Dennis possess a special talent or gift that allows them to excel at trading. In 1983 and 1984, Dennis placed advertisements in the Wall Street Journal, the New York Times, and Barron's inviting people to apply to be trained as traders. Reportedly, about 1,000 applicants vied for the opportunity. Dennis chose 13 for the program in 1984 and then another 10 in 1985. How Did the Turtle Traders Do? Several years later, a few of the traders were dropped from the program and a few others were trading for themselves. A Wall Street Journal analysis in 1989 found that 14 of those turtle traders who were trading public funds as commodity-trading advisors earned an average annual compound rate of return of 80% over a 4 1/2 year period. Although this is just one small data set, Dennis believed the experiment and subsequent results proved that trading is a skill that can be taught. Trading involves substantial risk, and no strategy can guarantee positive results. 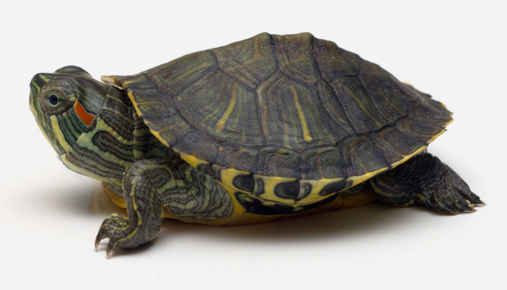 Plus, most beginning traders are not as well-capitalized as Dennis’s turtles. But there are clear benefits to a trading education, so take the time to invest in yourself. Develop a consistent trading methodology that fits with your personality and works for you. Create a trading game plan. Invest time in your trading education: read trading and investing books, attend webinars, and plot out your self-study course. Treat your trading like a business. Lay out your business plan, including the specifics of your trading methodology. Trading simulators such as paperMoney®, available on the thinkorswim® platform from TD Ameritrade, allow you to practice your strategy before risking real money. Might you be a turtle? Come on out of your shell and find out. Investments in commodities are not suitable for all investors as they can be extremely volatile and can be significantly affected by world events, import controls, worldwide competition, government regulations, and economic conditions. Investools, Inc. and TD Ameritrade, Inc., are separate but affiliated companies that are not responsible for each other’s services or policies. Investools does not provide financial advice and is not in the business of transacting trades. *Investools® 7-day free trial is valid for new Investools clients only. Offer is available through December 31, 2017. New Investools clients are able to select a free 7-day trial for either the Stock Investing course or the Income Investing course. Investools reserves the right to restrict or revoke this offer at any time. This is not an offer or solicitation in any jurisdiction where Investools is not authorized to do business. A valid email address is required to participate. Please allow 1 week from requesting the free trial to receive an email from Investools with information on how to access your 7-day free trial. The 7-day trial includes access to either the Stock Investing or Income Investing online course, online and in-person workshops, one-to-one coaching, online coaching, Investor Toolbox®, and Trading Rooms®. After the 7-day trial ends, you must subscribe to maintain access. Cost for the Stock Investing course for non-TD Ameritrade clients will be $699. Cost for the Stock Investing course for TD Ameritrade clients will be $499. Cost for the Income Investing course for non-TD Ameritrade clients will be $2,199. Cost for the Income Investing course for TD Ameritrade clients will be $1,549. Neither Investools nor its educational subsidiaries nor any of their respective officers, personnel, representatives, agents or independent contractors are, in such capacities, licensed financial advisers, registered investment advisers or registered broker-dealers. Neither Investools nor such educational subsidiaries provide investment or financial advice or make investment recommendations, nor are they in the business of transacting trades, nor do they direct client commodity accounts or give commodity trading advice tailored to any particular client’s situation. Nothing contained in this communication constitutes a solicitation, recommendation, promotion, endorsement or offer by Investools, or others described above, of any particular security, transaction or investment.